June 22, this Monday evening at 6:30pm. 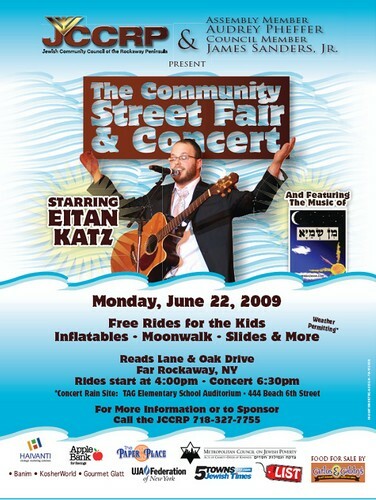 It is the annual JCCRP concert held outside on Reads Lane in Far Rockaway. FREE rides for the kids, music starts at 6:30pm.